The Basement Watchdog 24EP6 Sump Pump Battery (starting, lighting, ignition) main purpose is to power the starter motor, the lights, and the ignition system of a vehicle's engine. 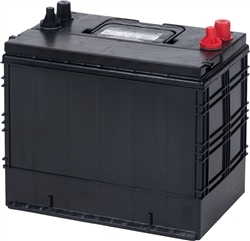 NOTE: This is a Rechargeable Basement Watchdog 24EP6 Sump Pump SLI Battery (starting, lighting, ignition) Battery. The picture shown above is for illustrative purposes only. Do not hesitate to contact us if you need more information about the availability of a specific brand.